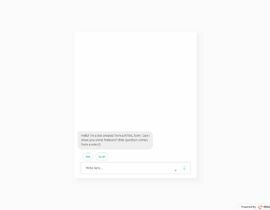 I'm building a network of websites and every website is supported by an "Assistant' (the chatbot). 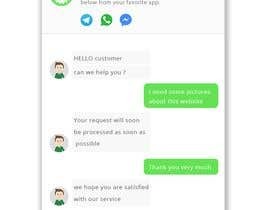 Need help building this chatbot on a service of your choice that has a visual composer and that I can use after, once this first one is set by you. - I will provide the script for the entire conversation. 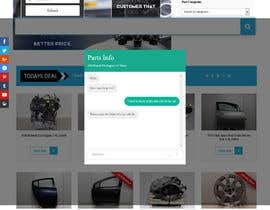 - You must use a FREE chatbot service of your choice for this. Tell me why this one is best than others..
- I will need to use the same chatbot on different websites with very little variations each - I will need to duplicate, edit and publish other hosted versions of this bot myself. I will need to own the account you create for me for this service. - I will provide one Sketch file with design and script, and a prototype with all interactions and outcomes defined. - The dialog consists of about 4 questions with 2 pre-set answers each. User advances when clicking on one response and is linked to a URL on the other. - Experience must be responsive. - Must load fast. Everything must be code generated. - The experience is scripted and there is no need for AI or machine learning set backend. Simple logic and implementation. This can easily be done on CSS/HTML but I don't code .. if you have a better way to do this experience in a way that is customizable from the front end so I can adjust dialogs and links after when I include a version of it on other websites, I'm totally open to hear your solution. The experience can be viewd on the product prototype - please click: (What can I do?) button on homepage.